Voodoo Shilton at Neverland Pavilion WEDNESDAY, OCTOBER 5! 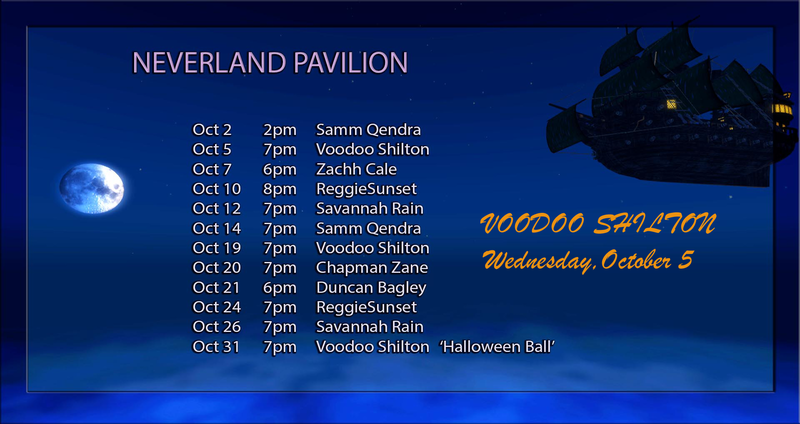 Save the date and join us for Voodoo Shilton’s show on Wednesday, October 5, at the Neverland Pavilion! Costume up – we’ll be filming you:) Here’s your pirate ship to Neverland!